Leitrim – A terrific win away to Wicklow at the weekend made it two wins from two for our Leitrim footballers and with the visit of Antrim to Páirc Seán this Sunday let’s all make the effort to roll in behind this mighty bunch of players. Our hurlers have been desperately unlucky over the last two weekends losing by a point to both Cavan and Sligo. Hopefully, their luck will improve. 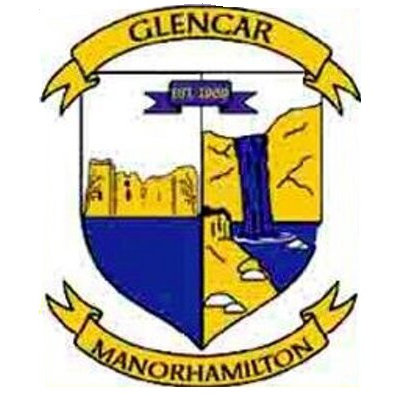 Sympathy – Our club members were shocked and greatly saddened to learn of the passing of a great GAA friend in Tom Guckian, Carrick on Shannon. Tom was one of the most obliging club members we ever had the pleasure of dealing with down through the years whilst a visiting team to Páirc Seán or Páirc Tom. He has left a lasting mark on all who knew him and his passing will leave a massive void. We extend our sympathies to his beloved family, many friends and his club St Mary’s GAA. Ár dheis Dé go raibh a anam. Registration Night – We will be holding our two Registration Nights for all players and supporters to pay their membership for the 2019 season this Friday 8th and Friday 15th of February from 6.30 to 8pm upstairs in the Gym at St Clare’s Comprehensive School. All club players must pay their membership before the last day of February in order to train and play with the club. Membership rates for the 2019 season are as follows: U10 Girls & Boys – €30 for 1st Child & remaining family members at this age group €20 each. U11 Boys – €30, U12 to U18 Girls – €40, U13 to U18 Boys -€40, Adult Players – €80 and Social Members – €30. A family membership rate of €120 max per family has been introduced for the coming season. This applies to families who are registering their juvenile players who are under the age of 18 and the parents/guardians. 5K Walk – Our 5k walk in association with Get Ireland Walking and Operation Transformation continues this Thursday night meeting at the Bee Park dressing rooms at 6.45pm. Club Awards Night – Our club awards night will take place on Saturday 16th February at 8pm in the Bee Park Community Centre. More details to follow. Heinz Beans Tokens – Could everyone please return their tokens to any of our club officers at underage, ladies and adult level before the 15th February, 2019. Many thanks to all who collected on our behalf. Old Club Jerseys – We are looking for people to search out their wardrobes, garages and attics in search of old club jerseys which were used by our adult and juvenile football and hurling teams in the club (male and female) in the following decades – the 60’s, 70’s, 80’s, 90’s, 2000’s. They are needed for our 50th club celebrations. Please contact Collette Fox asap on 0866020192 if you can assist.